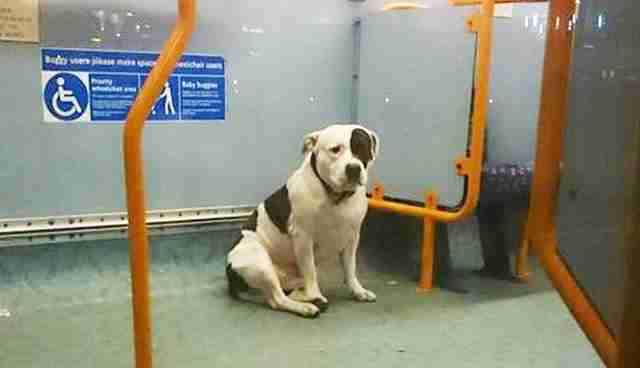 A dog found abandoned on a London bus has finally found his way home - and it turns out he wasn't actually abandoned. He was just lost. The dog, a Staffordshire terrier named Boston, ended up in quite the predicament after he disappeared during a walk. "We took him outside and after a few seconds, we couldn't see him," his owner, Paulina Rybak, told The Evening Standard. "We started looking for him but couldn't find him." 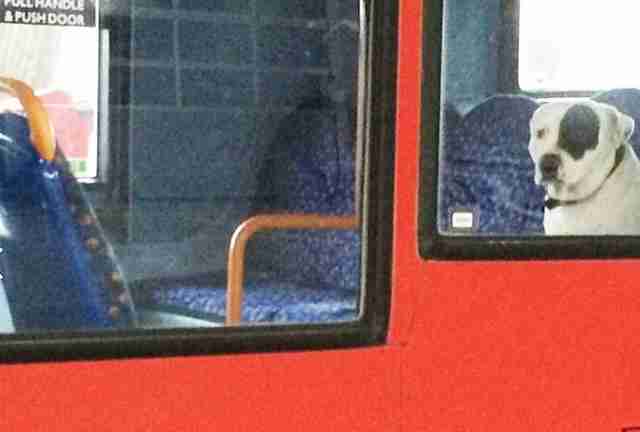 Last Thursday, Boston was spotted alone on a bus. 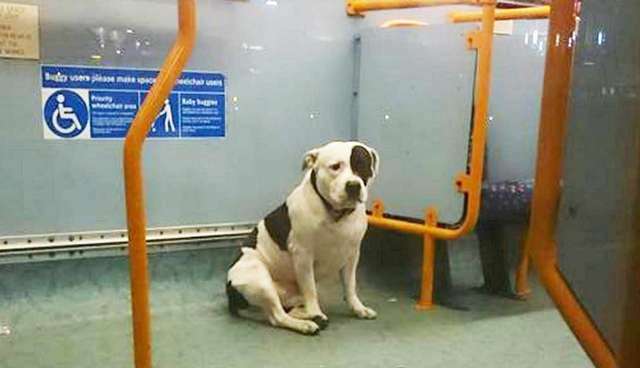 Images of the solitary dog riding the bus made the rounds on social media and captured headlines around the world. But no one freed the sad, abandoned dog that evening. 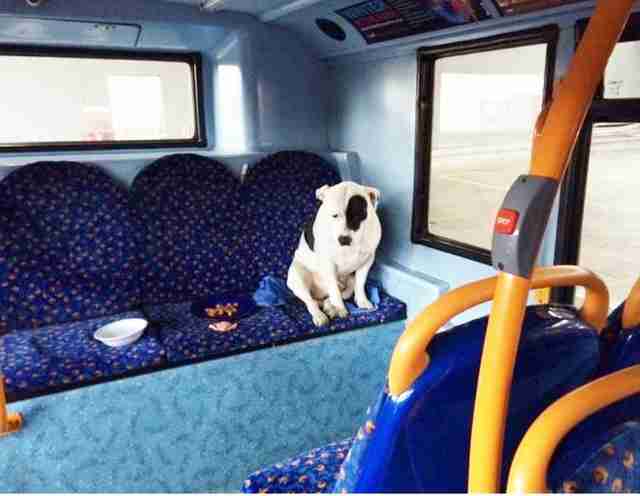 The bus driver claimed it was against regulations to remove the dog, citing the possibility of being bitten - even if, as he admitted, the dog seemed friendly enough. Just really lost. And lonely. But Boston's night would get even lonelier. When the bus was taken out of commission at the end of the night, Boston was left inside. "When I arrived around 6:30 a.m. he'd been there all night," depot worker Ricky Hatton told Sky News. "Very scared, but not aggressive. I gave him food, water and my bodywarmer." Animal control officers brought Boston to their facilities, where the search for his owner began. Fortunately, Boston didn't have to wait too long. Rybak saw Boston's picture in the local newspaper. And on Wednesday, the woman, along with her two young children, Filip and Zofia, had a tearful reunion with their wayward pet. "I was so happy I started crying," she told the Evening Standard. "I thought we would never see him again." And Boston, after a long, strange journey, finally found his forever stop.